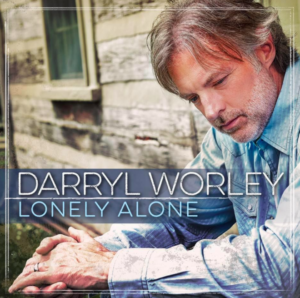 Darryl Worley is back with a great traditional country song. Back in 2000, I was watching CMT every morning before school. It was a time of change in country music. Rascal Flatts were probably leading the change as things went a little more progressive. I was a fan of the new change, but I also still liked the more traditional sounds. Alan Jackson was still out there making some great traditional music. There were others too. And there were some newcomers. I would put Darryl Worley in that category. He has a big time Souther twang voice and didn’t hide from it. Darryl’s first album was great. Some really good songs. And he would continue a strong string of hits for many years. He’s still out there making new music today and that’s great to see. Here is his latest. We have the story of a guy that’s currently with a woman. But he realizes that they don’t really love each other anymore. They’re going through the emotions. It’s been over for a long time. For some reason they’ve stayed together. For appearances. Thinking about others. But he realizes that none of that matters. They’re miserable together. They’re together, but they’re both lonely. So the guy figures he might as well be lonely alone and just move on. Find a new life whether that’s with someone new or just away from the person that doesn’t love him anymore. In the end shouldn’t your own happiness matter the most? Your own satisfaction? The people that care about you the most want you to be happy. Great song from Darryl. I don’t know if there are plans to push this one, but I hope it gets some notice because it’s a good one. Reba’s “Lonely Alone” was a much better song. I’m sure the writers of it are really pissed, because you couldn’t write this without knowing the Reba song.